A recent question I got about my UNMAP PowerCLI script was it says it was using a certain block count but when I looked at the log it was using 200. Why? 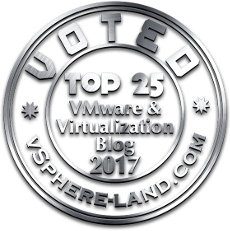 Let me start out with saying I’m embarrassed I have only been using vRO for 8 months or so. It is AWESOME. The creation of the first part is explained in this post. But if you are using the FlashArray it is all built into the package, so you have to do very little work. I’ll explain in a bit. Quick post. 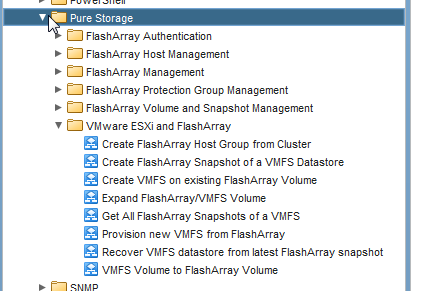 I have released the FlashArray Workflow Package for vRealize Orchestrator version 1.3. Not a huge update but a few changes/new features. In short, just because the Python glossary doesn’t explicitly say how to do something or even if you can, it does not mean you can’t. It really depends on what the REST API can do.